Dear Students, first of all Thanks to give your 100% efforts for REET Exam. We hope you all tried best for this exam. 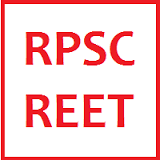 By the help of REET exam answer key all students can take idea of their percentage. Many Websites are showing fake answers key because of that students are geting confused about their result. Please share this with your friends and subscribe for other govt jobs.